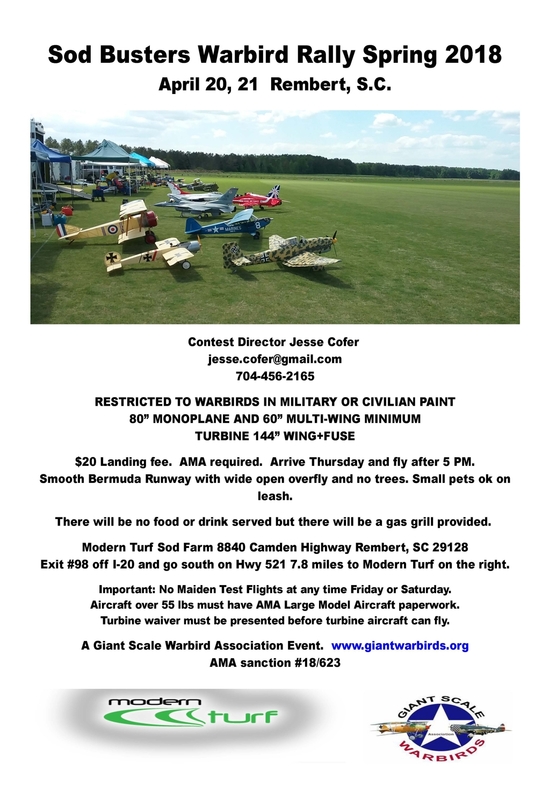 Sodbusters Spring Warbird Rally is finally set for Friday and Saturday, April 20th and 21st. We will be setting up the field as usual on Thursday and should be able to get some flying in late in the afternoon. We will do our pork chop dinner on Friday evening for pilots and family members that are included in your landing fee. Once again our thanks go out to Chris Cook and Hank Kerfoot of Modern Turf for making this beautiful flying site available to our group. Please take a moment to thank them if you see them at our event.